The Mortgage Demo is your premiere mortgage team located in San Diego, California. 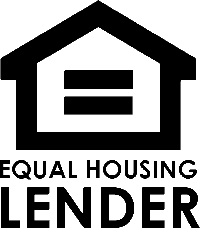 We pride ourselves on offering some of the lowest rates nationwide and make the loan process simple, straightforward and fast for borrowers seeking a mortgage in the California area. Whether you are first time home buyer, purchasing your dream home, refinancing an outstanding loan, or consolidating debt, our highly experienced team of mortgage brokers can help you take that first step toward a financial solution. We have been dedicated to providing easy and affordable mortgage services and solutions for over 20 years and have continued to meet BBB accreditation standards, achieving an A+ rating and consistently ranking among the highest in overall customer satisfaction among California’s mortgage companies. Our FHA, VA, RHS, Jumbo and Conventional mortgage rates are the lowest available and we offer all mortgage financing options accessible to you. We recognize that borrowers require a trustworthy mortgage company that takes the time to understand the particular needs of each client. As California’s leading Mortgage Company we alleviate the typically drawn-out loan process, pre-approving borrowers within one hour and providing a written pre-approval certificate to present with their Purchase Contract. At Mortgage Demo, our ultimate goal is to create lasting relationships with each of our clients so that we may continue providing excellent service for many years to come. Although we are located in San Diego, California, we offer unparalleled mortgage and refinance service to clients throughout the Great State of California!